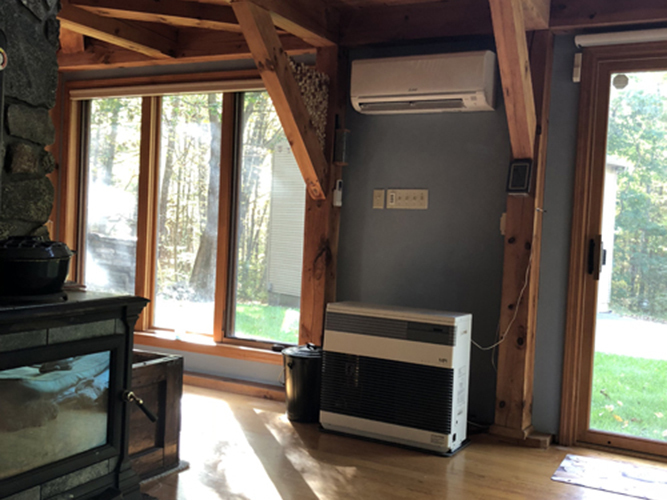 Problem: For years, these homeowners utilized the passive solar design of their house, along with a kerosene-fired monitor heater, and electric baseboards. 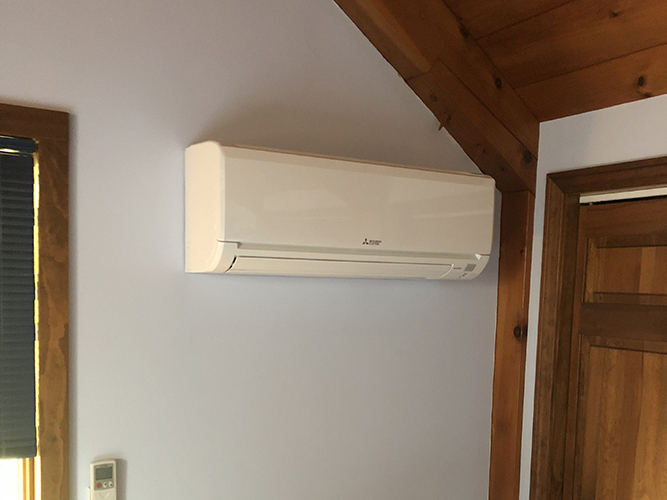 In the past, they had researched ductless heat pumps, but there were no efficient low-temperature solutions at that time. 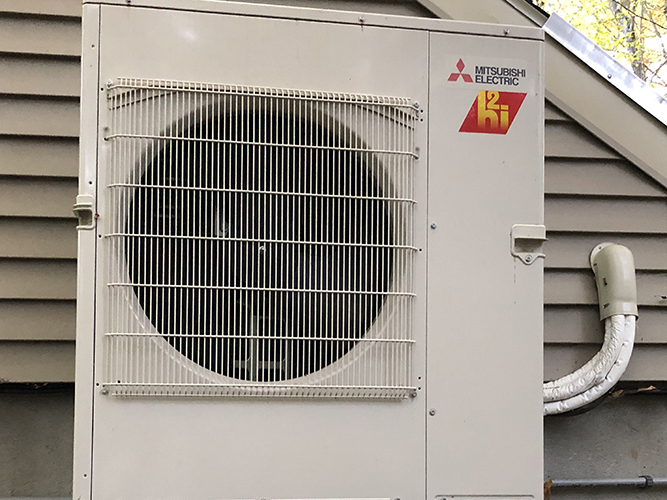 Since the birth of Mitsubishi Hyper-Heating, they became interested in a more efficient way to heat the home, with several different zones and set points, since many of the rooms are vacant for much of the winter. 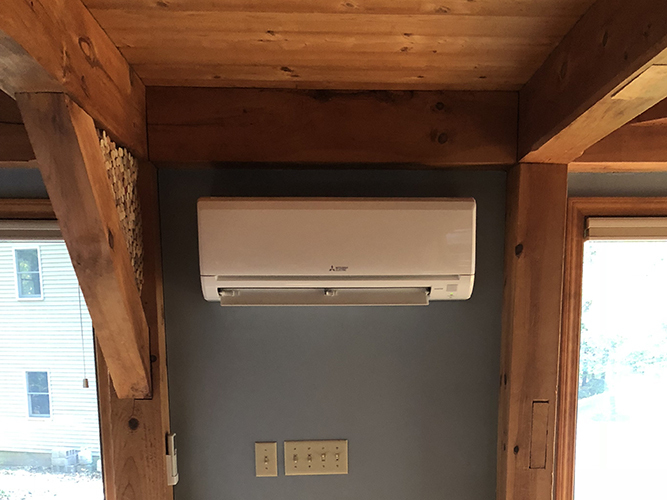 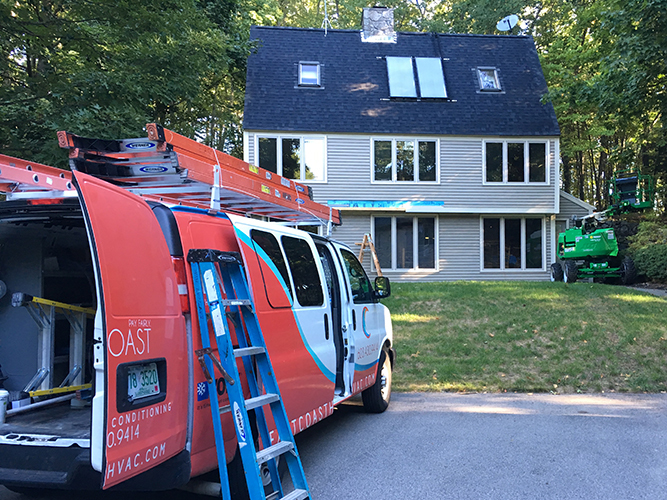 Solution: Two hyper-heat systems, totaling five indoor heads, provide heating and cooling to five areas of this home, each on their own controller.